KUMAMOTO, Japan - Local authorities on Wednesday reopened a crater area of Mt. 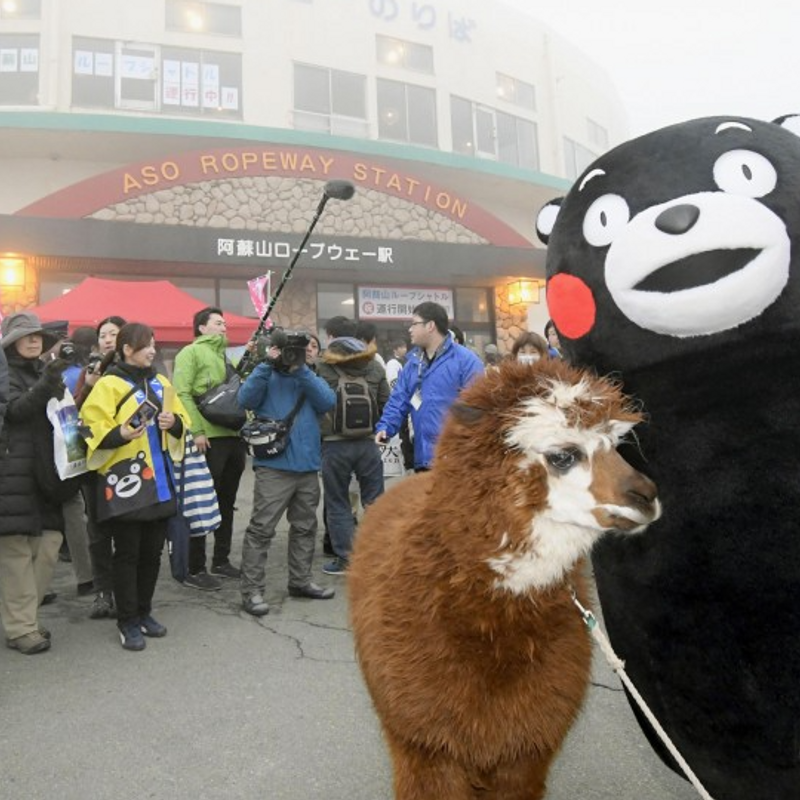 Aso to tourists for the first time in three and a half years following diminished volcanic activity and the installation of safety measures. The crater area of the 1,592-meter active volcano had been one of the most popular tourist spots in Kumamoto Prefecture in southwestern Japan before it was closed to visitors in August 2014 after a small-scale eruption. About 60 people from the local governments and sightseeing industry attended a ceremony in a park 1 kilometer from the crater to celebrate the reopening. They hope it will lead to the revitalization of the local economy, which is reeling from a series of huge earthquakes that hit the region in April 2016. "We have taken measures so we can lift the entry ban and further promote the recovery from the Kumamoto earthquake. 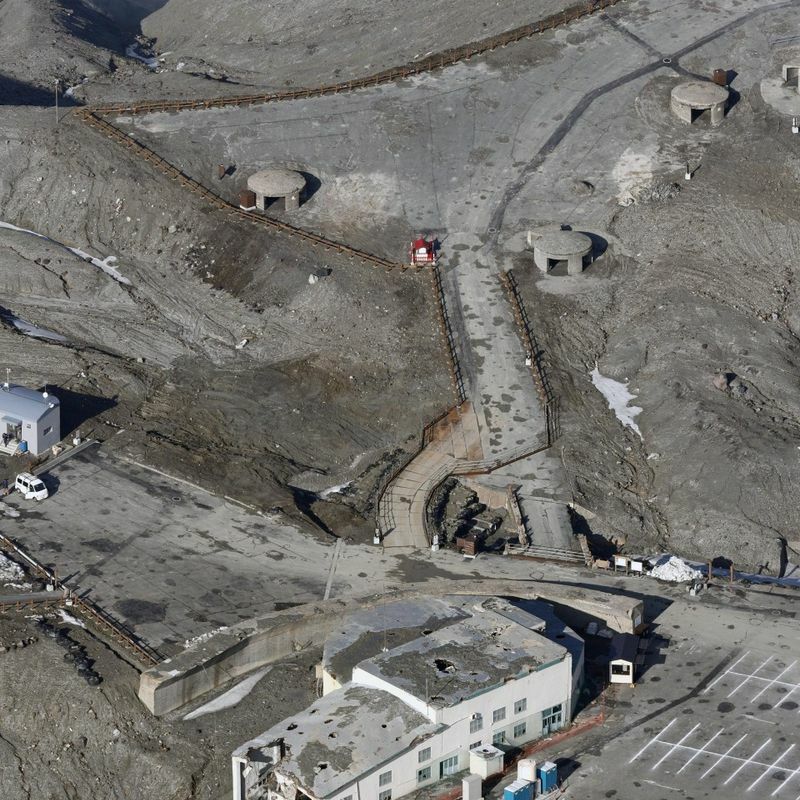 I am really glad to reopen the crater area to tourists," said Aso Mayor Yoshioki Sato at the ceremony. 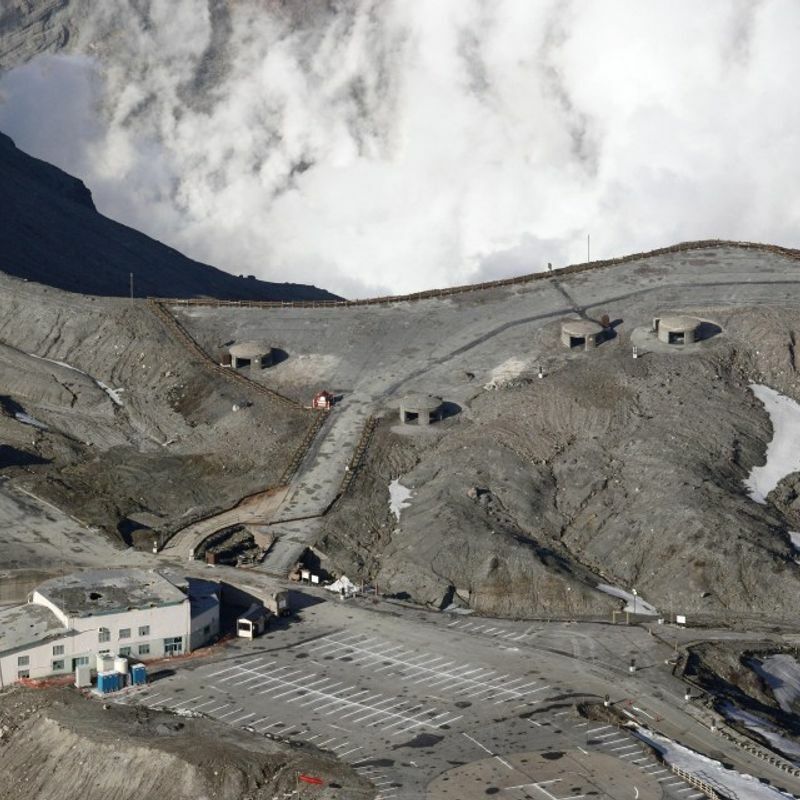 However, the operation of the gondola lift service connecting the park with an entrance to the crater remains suspended after its equipment was severely damaged in a large-scale eruption in October 2016. Instead, a shuttle-bus service is available while cars can also reach the entrance through a toll road. The Japan Meteorological Agency confirmed a small-scale eruption and raised the alert level for the volcano by one notch to 2 in August 2014, prompting the local authorities to make the area within 1 kilometer of the crater off-limits. The alert level was lowered to 1 in February 2017, which allows entry to the crater zone, but it required some time to install volcanic gas detectors and repair a fall protection railing after they were damaged in the massive 2016 eruption.